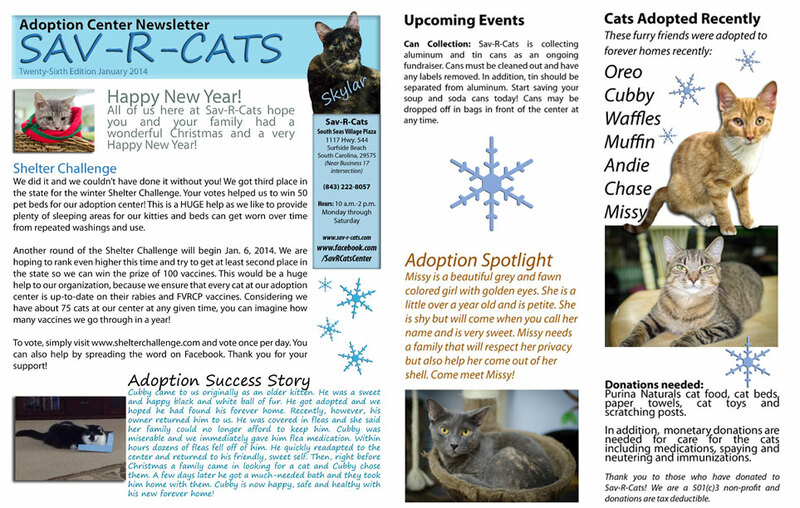 This entry was posted in Fundraising on October 7, 2014 by savrcats. 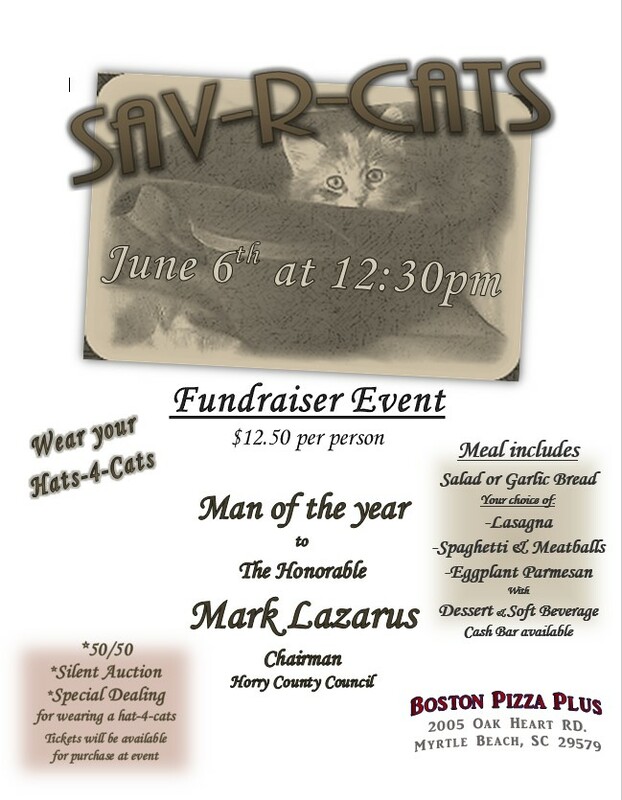 We will be hosting a fundraiser on June 6 beginning at 12:30 p.m. at Boston Pizza Plus. 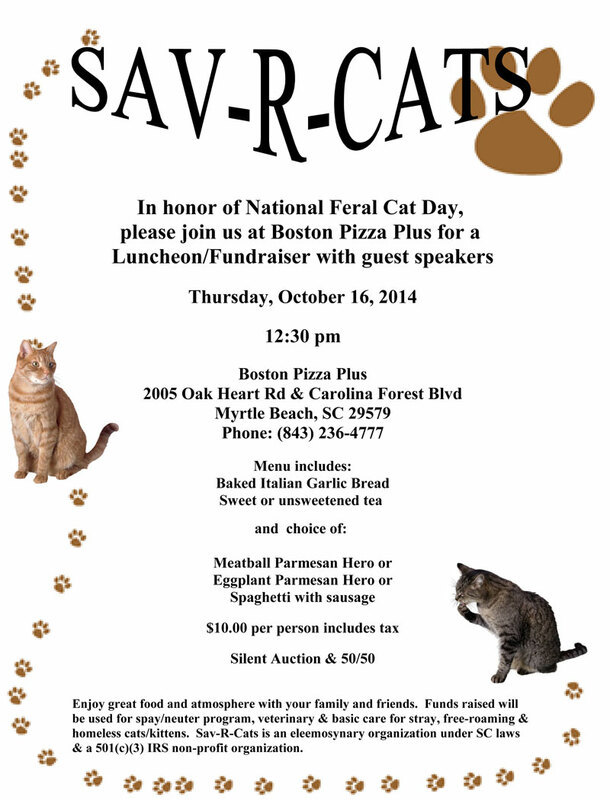 The cost is $12.50 per person and includes salad or garlic bread and your choice of lasagna, spaghetti and meatballs, or eggplant Parmesan with a dessert and soft drink. 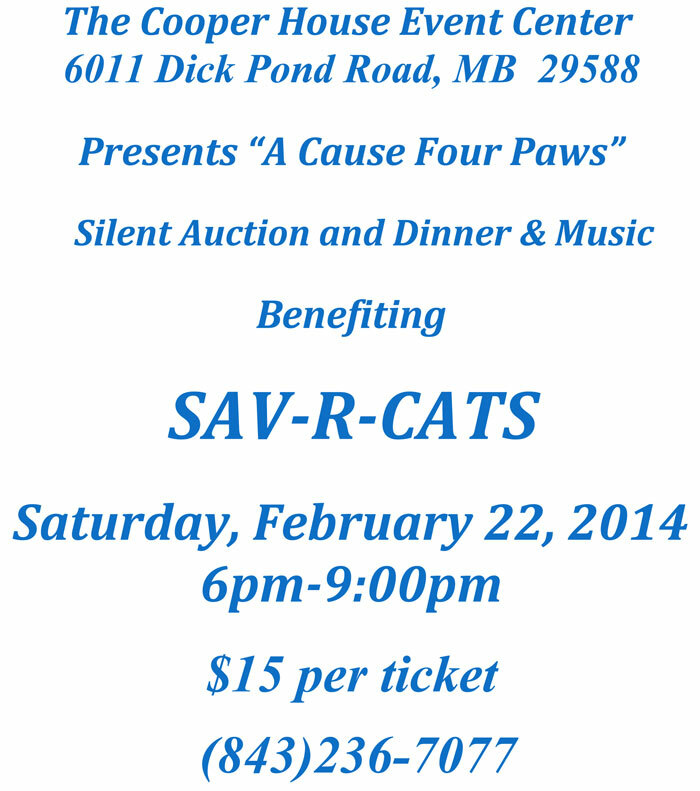 There will also be a silent auction, 50/50 and more! 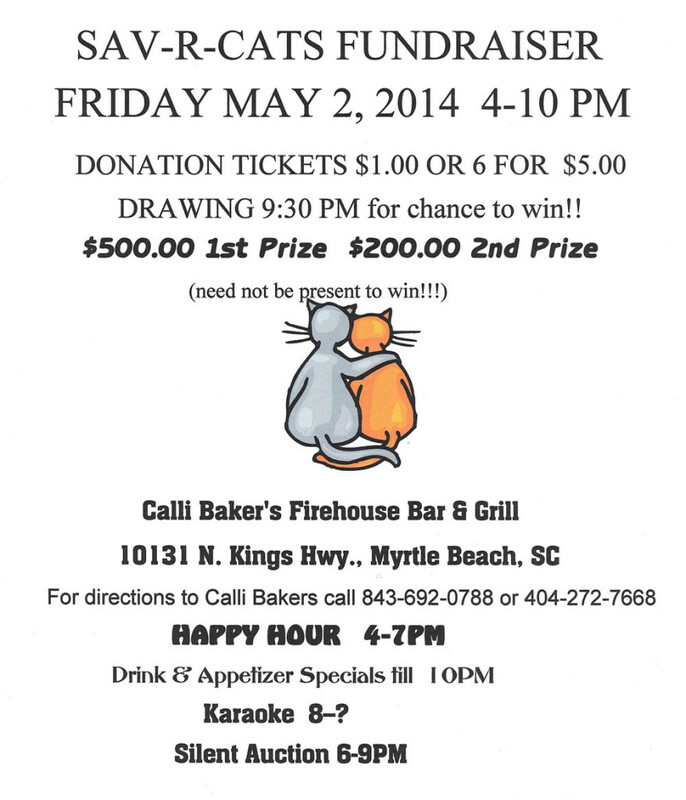 This entry was posted in Fundraising and tagged events, fundraiser on May 16, 2014 by savrcats. 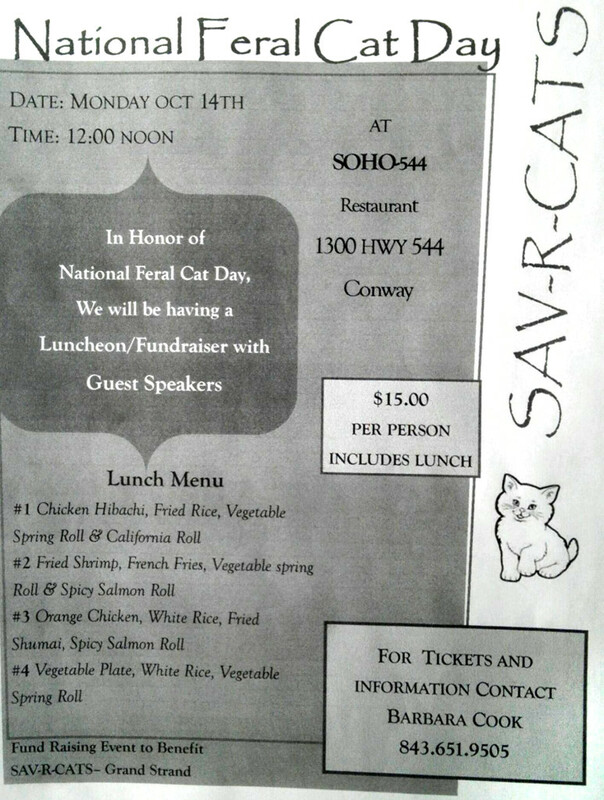 We will be having a luncheon in honor of Feral Cat Day! 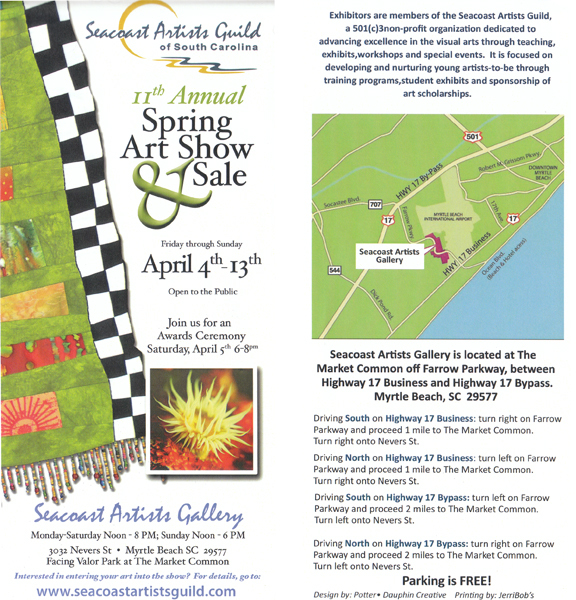 View our flyer below and we hope to see you there! 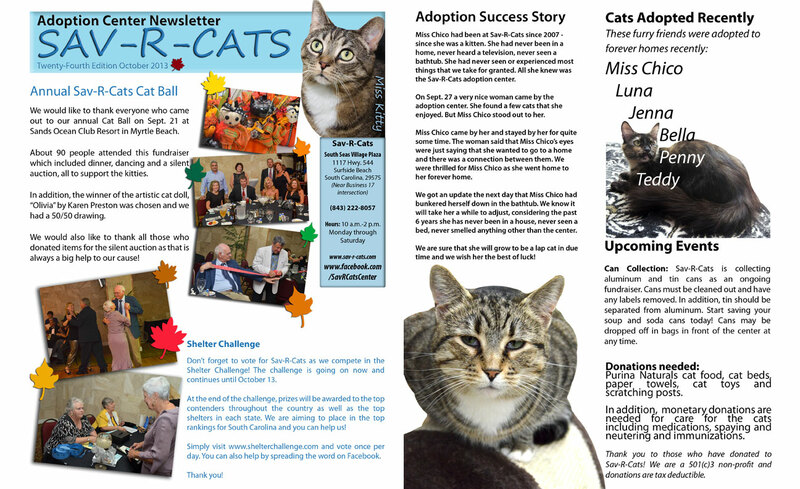 This entry was posted in Fundraising and tagged events, fundraiser on October 7, 2013 by savrcats.